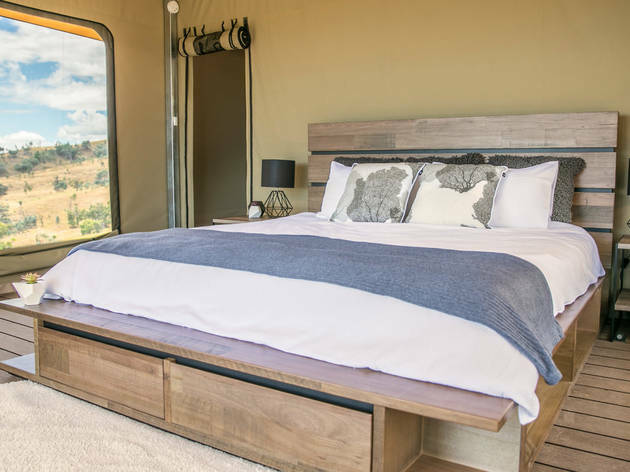 Situated around 25 minutes north of Mudgee, Sierra Escape is an off-the-grid, camping-style experience that offers the comforts of a five star hotel. 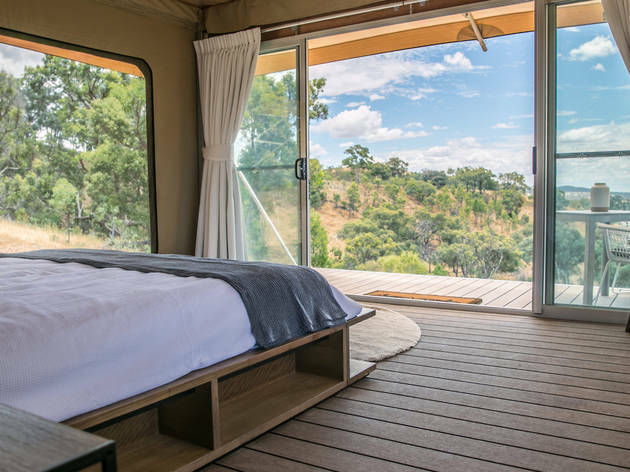 Emphasis should be placed on ‘escape’ here – the dirt road from the centre of Mudgee means it's a bit out of the way – but the journey is a small tradeoff for its secluded location. 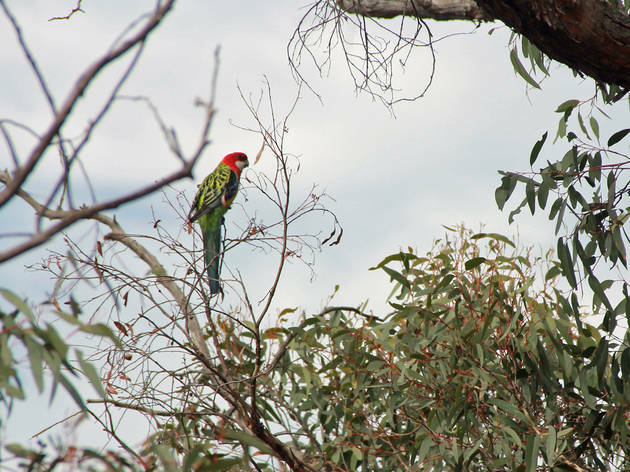 Wildlife around the camp is abundant: small green tree frogs hop along gravel roads, crimson rosellas perch in the trees just metres away from the tent, kangaroos bounce over fences and sheep, and llamas and cows graze in neighbouring paddocks and fields. 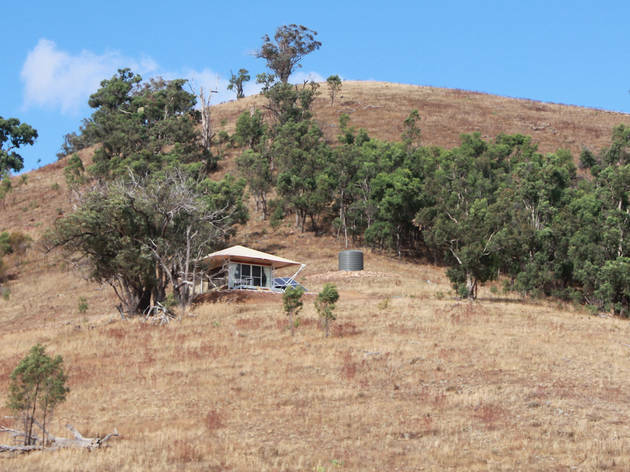 Add in stringy bark gums, swampy marshes, dry rolling hills and an abundance of bush flowers, and it’s a little bush world away from Sydney. 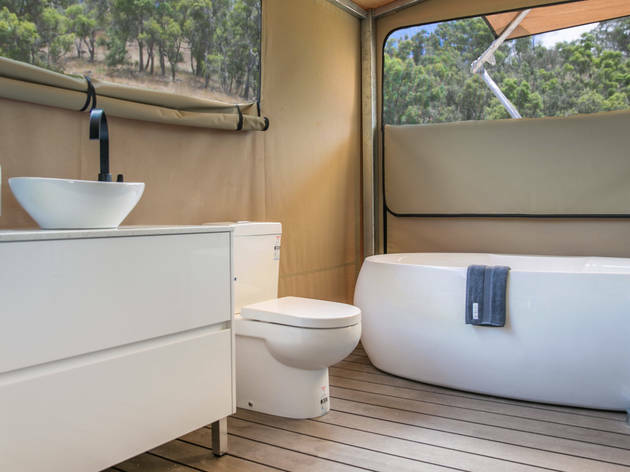 The digs are very glamorous: the eight-by-five metre ‘tent’ has solid wood floors, gas and electricity, a mini fridge and plenty of room. 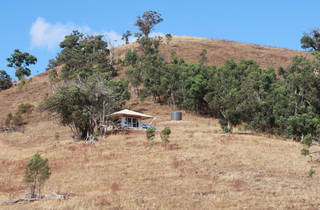 It’s where we’d imagine a movie star would sleep while shooting on a remote location. 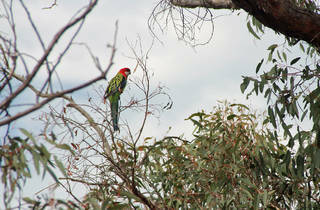 But every five-star feature is contrasted by the DIY nature of being out in the bush, creating a humbling balance. 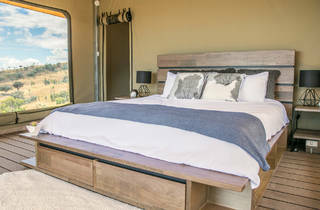 The silky linen on the ultra comfy king-sized bed makes for an excellent night's sleep, but you will hear cows mooing, the tent blowing in heavy wind and raining thudding down on the pyramid-shaped roof. 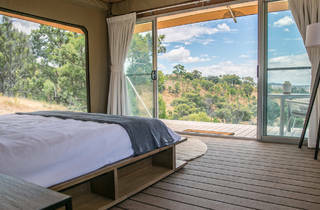 On arrival you’ll find a meat and cheese platter and bottle of local wine (the vineyards and produce are Mudgee’s biggest drawcards), and in the morning you can flip pancakes on a small butane camp stove overlooking the valley. 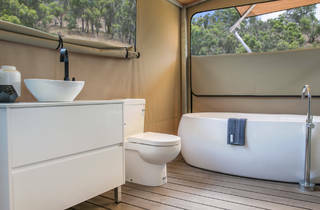 We suggest taking a deep-plunge bath with natural bath salts; you can peer out of the mesh side panels right into the bush. The shower is a touch temperamental but it is running totally off-the-grid.